We've helped numerous government agencies, ranging from local county governments to national agencies. RefurbUPS has the knowledge and experience to help your agency with its Power Protection problems! "We are very grateful and pleased with RefurbUPS. When faced with a difficult task of bringing our UPS systems back online after extended outage from Hurricane Sandy. RefurbUPS delivered and installed New Batteries in rapid time and exceeded our expectations. Thank you for a great job. Once again your company has proved its capabilities, knowledge and experience to us." 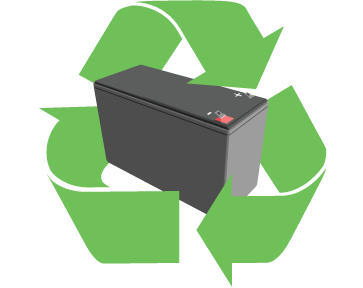 "We appreciate your time and efforts in helping us determine the correct New UPS battery replacement requirements and needs. Helping us saving us money in the process, allowed us to get more done with our budget. From your sales to you service we commend staff your expertise and knowledge." And many more! Call us today at (866) 883-9200 or email us at Info@RefurbUPS.com to find out how the Power Protection experts at RefurbUPS.com can help you. RefurbUPS has helped hundreds of schools and universities with their Power Protection Problems! Below are just a few of the education institutions we've helped. As you can see, RefurbUPS can help schools both large and small. Give us a call today to discuss your Power Protection needs! "With our recent university wide VOIP telephone roll-out, The project consultation in the planning stage was invaluable helpful in determining our power and UPS runtime requirements. The Liebert UPS systems recommended and provide work great The quality of work and the excellent customer service is what earns our repeat business. Be assured we will be calling again." "Your experience, knowledge and persistence in helping us troubleshoot and correct failed battery that caused our system to fail. We are very appreciative of your technician’s time and invaluable assistance in bringing our system on-line at a critical time". "We want to thank you and your staff for the service and recommendations you gave to our IT division for our APC Symmetra PX UPS system. We commend your expertise and knowledge"